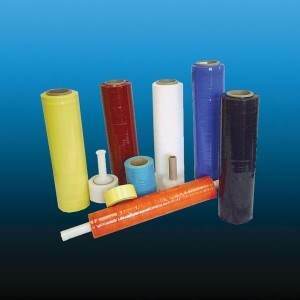 Our line of specialty films include Poly Pallet Banding, Air-Flor Stretch Wrap, Colored Stretch Film, Securi-Wrap, PVC wrap, Static Dissipative Films and meat film. Specialty stretch films provide unique packaging solutions for your company's specific needs and our expert stretch wrap staff can help you identify the most cost effective stretch film packaging solution. Our prime distributing partners include Gale Wrap, Sigma Stretch Film, and Linear stretch films.